The Westchester County Office of Workforce Investment (OWI) provides comprehensive state-of-the-art workforce development services to both job seekers and employers. It works with the private sector, government and educational institutions, community based organizations and other agencies associated with the employment and training community, to form a seamless network. 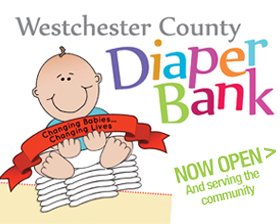 Its goal is to deliver the most extensive workforce development services to the citizens of Westchester County. The OWI has developed a partnership with economic development agencies, business organizations, educational institutions, community based organizations and other workforce development agencies through Putnam and Westchester counties to develop a One Stop service delivery system. This system consists of One Stop Career Centers, core and satellite offices through which both business and job seekers may access a vast array of services. Partner agencies located on site bring a wide range of services into the workforce development mall (full service center) and mini mall (satellite). Job retention and career advancement strategies are key ingredients for economic self-sufficiency, helping recipients to stay employed and improve the quality of their jobs over time through higher wages, better benefits and greater job security. Programs include not only post-employment services but also pre-employment skill development programs and support services that enable recipients to qualify for and maintain jobs. A wide range of strategies include continuing support services following employment, mentoring, post-employment education and training and developing employer consortia to improve advancement opportunities. In the push to move welfare recipients into employment, retention and advancement strategies offer real benefits to recipients and employers such as increased employability, opportunities for wage increases and promotions, improved morale and higher job performance. For additional information please visit at 120 Bloomingdale Road, White Plains, NY from 9:00 a.m. to 5:00 p.m. Monday to Friday, except holidays, call (914) 995-3910, or visit the Westchester Putnam Local Workforce Investment System.